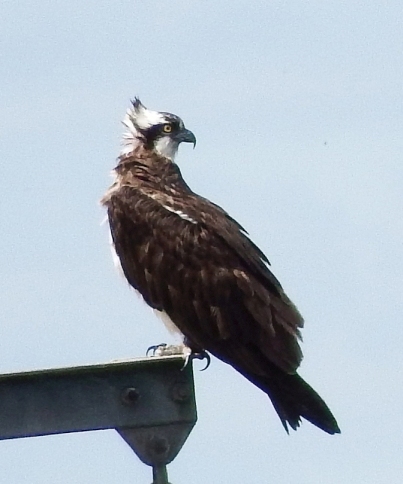 Three Ospreys were seen fishing on the Basin on 9th and 10th April. (12th April 2019). The Visitor Centre is on summer opening hours - 7 days a week 10:30am to 5pm. Facebook page. Check it out for latest sightings and events. Keep up-to-date with happenings on the Basin with the Blog on the Scottish Wildlife Trust website. Keep an eye on the Basin with the Montrose Basin webcam. Montrose, on the North East coast of Scotland, is notable for its tidal basin. There is a variety of different zones on the Montrose Basin Local Nature Reserve ranging from the mud, fresh water, sea water, brackish water, saltmarsh, reedbed, unimproved grassland and arable land. The Reserve is particularly noted for the birds that breed, feed and roost there, including eider, pink-footed geese, mute swans, redshank, lapwing, pintail and wigeon. Being a Local Nature Reserve, it is also important for the leisure activities it supports that co-exist with the wildlife - birdwatching, sailing, fishing and wildfowling among others. Note that SWT is not responsible for the contents of this site.